Twenty-one years after the graduation episode, someone decided it’s a good time to revisit Bayside through Lifetime’s Unauthorized Saved By the Bell Movie. Like many impressionable kids, I was a big Saved By the Bell fan. Not only did I like SBtB, I liked shows that were like it at the time. Since I’ve never made my feelings about SBtB public, I’ve lined up eight confessions about my fascination with Saved By the Bell, creator Peter Engel, and TNBC. Lifetime’s grab at nostalgia has a lame title. I’m more inspired by Sharknado; at least that title assures a memorable experience. After watching the five-minute preview, I don’t think Unauthorized will rise above the corny material of the sitcom it’s based on. “Screech” is controlling the narrative? The girl playing Elizabeth Berkley isn’t towering over most of the cast? My expectations for this is low. Success of the Saved By the Bell movie could be the tip of the iceberg for a SBtB revival. Maybe someone will be employed to explain the strange continuity (or at least get the actress playing Tori for an interview). Maybe we’ll re-evaluate The College Years as a classic cut down too soon. Whatever happens, a revival will pale in comparison to the inital wave of Bell-mania in the early 90s. The sole piece of merch I have is the Kelly’s Hero book by someone named “Beth Prince.” Who? Searching for information about this Beth Prince turns up with little information. A GoodReads search leads to all of her books being SBtB-related. There are many books published about the Bayside bunch in the mid-90s. Novels, autographies, and even a dating guide?!? The sole book I have, Kelly’s Hero, is a faithful to the show’s heavy-handed plotting. What’s on the page doesn’t match the energetic verve of what we see on TV. Basically, Hero is about the evils of sexual harrassment and the perils of putting competition over love. The subplot, where Jessie and Lisa takes on Slater and Screech in a scavenger hunt, is cringe-inducing in that Jessie belives her love of Slater is the most important thing in her life. Yes, that feminist, popping-caffiene-pills-for-an-A-plus-or-whatever Jessie. To be fair, both she and Slater are petty and selfish and Lisa is a tool. Hilarity ensues. The main plot involves Kelly getting a new job at the country club where Zack’s father is a new member. Mr. Morris hopes to win the support of a man whose creepy son, Brad, is managing the club’s restaurant where Kelly is waiting tables. Brad is nothing but a lech while Kelly is sloooow to take back her dignity. With the help of the titular “hero,” Zack, and a co-worker, Kelly exposes Brad as the creep he is in front of his father. This 130+ page novel is vintage Saved By the Bell in print form. Gave me some memories of the TV show and the curiosity to find out something about the author, who could’ve been any sap needing professional experience in writing. That’s all I can stand. 3. 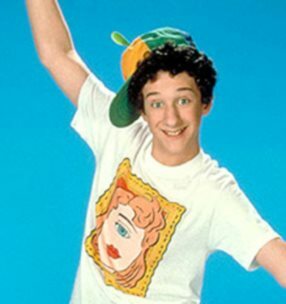 Lisa & Screech: What Happened??? 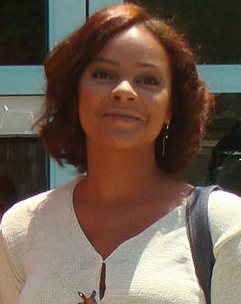 The changes in Lark Voorhies’ appearance and possibly her mental state the past few years are sad and unfortunate. Dustin Diamond has become a walking punchline for has-been celebrities. Read the first chapter here. It may be more accurate to call it “fan fiction,” but I don’t be pigeonhole myself as a weirdo-freak Bellite (Bellian? Bellsie?). If you don’t know, Good Morning, Miss Bliss is about former child star Hayley Mills as a teacher in Indiana. Her class included Zack Morris, Lisa Turtle, and Screech. After a season on the Disney Channel, a retooled sitcom focusing on Zack and his friends in California debuted the next season. My idea is to keep the Miss Bliss continuity forward two years later as if Saved By the Bell never happened. It’s supposed to center around Zack playing in an important basketball game while I pepper the text to in-jokes and references to other Indiana-based fictional characters. Since I fear what are good ideas in my head may not make for a good story, I haven’t updated since posting the first chapter. If you’ve read it, let me know what you think. Somehow hoping tweens will stay awake and anger their parents, TBS first ran Saved By the Bell repeats as a marathon. That’s how I became a fan of the show. Ten-year-old me loved the exploits of scheming Zack, Screech and his goofy Glee Club, the Zack Attack group, and so much more. There are a few shows I’ve forgotten. From my memory, the post-Bell shows were great when establishing the premise. I was impressed seeing the teen pop group, the Indiana girl who played hoops with the boys, a not-dysfunctional foster family in Miami, and (maybe?) the group of American exchange students in France. The shows devolved into family-friendly moralistic formula really quick. The E/I requirements enforced on TNBC (not that USA High was much better) ensured the fun would be limited at quiet chuckling for kids who didn’t know who Zack Morris is. I was relieved when I found out that the seventh(!) season of Saved By the Bell: The New Class would be its last. But one wacky teen comedy gave me goodwill with Mr. Engel despite the years of lameness. Come to think of it, I stuck around for TNBC for one reason. The one TNBC show I felt wasn’t about just high school antics. Calfornia Dreams starred the eponymous band and featured their misadventures into the music scene. Dreams was much more interesting once it shed the Garrison teens and their family. I can’t say exactly why I liked it. Maybe because the characters were a welcome contrast the New Class roster. Maybe I actually liked the music, though I can’t remember any of the tunes. Simply because Dreams premiered during the final season of the original Saved By the Bell, I liked it more than the other shows. Yes, Jimmy Fallon did an awesome gesture reuniting the cast. TNBC was NBC’s rejuvenation of their Saturday Morning lineup after years of mediocre cartoons. Sorry, fans of Super Mario World-related memes. I watched TNBC in the late 90s because I had moved on from the silly cartoons filling up Saturday mornings. I thought that my tastes had matured. Then again, Billy Madison was once my favorite comedy. Being a basketball fan, having NBA Inside Stuff finish TNBC was icing on the oversweetened cake. Kids can get their “Saturday Morning” fix anytime they want through cable/satellite, DVDs, and the good ol’ Internet. (But don’t watch too much, kids!) I knew the TNBC shows were kinda dumb, but it’s alright. Unabashed California Dreams AND TNBC fan here. I even wrote a post about some of Engel’s lesser known shows. Anyway, great post! William, I gotta see that post. Thank you for reading. This is honestly one fo the best posts I’ve read :) I was brought back to an awesome era of television that has yet to be toppled. Thanks for writing about the best bock of television EVER!